It's been a while since I last logged in! Fleeking Face now has it's own instagram @fleekingface where I share my spur of the moments thoughts and beauty tid-bits that I feel does not warrant a whole blogpost. That said, let's start with our today's spotlight: Arbutin. If you had ever bought or well versed in brightening/whitening products, one of the popular star ingredient will be arbutin. Arbutin can be made synthetically or extracted from bearberry plants. It is actually a glycosidated hydroquinone, and breaks down to hydroquinone and therefore works to improve dark spots and uneven skin tone. It inhibits the melanin production that gives pigment to the skin. Apart from color, melanin actually helps to protect the skin from harmful UV radiation. It is considered an alternative to hydroquinone (HQ) as some people has allergy reaction to HQ. However in my country, it is an alternative to HQ since HQ is a controlled substance and over the counter cosmetics products with HQ are banned. Arbutin is shown to help with melasma, freckles, moles and acne scar, however, some research shown that arbutin still posses the risk similar to hydroquinone as intestinal bacteria can convert arbutin to hydroquinone and it might lead to intestinal cancer condition. There is also a risk of skin irritation, especially from products with high concentration of arbutin. I did try some beauty products that contains Arbutin, although I am not planning to incorporate them in my fixed routine. 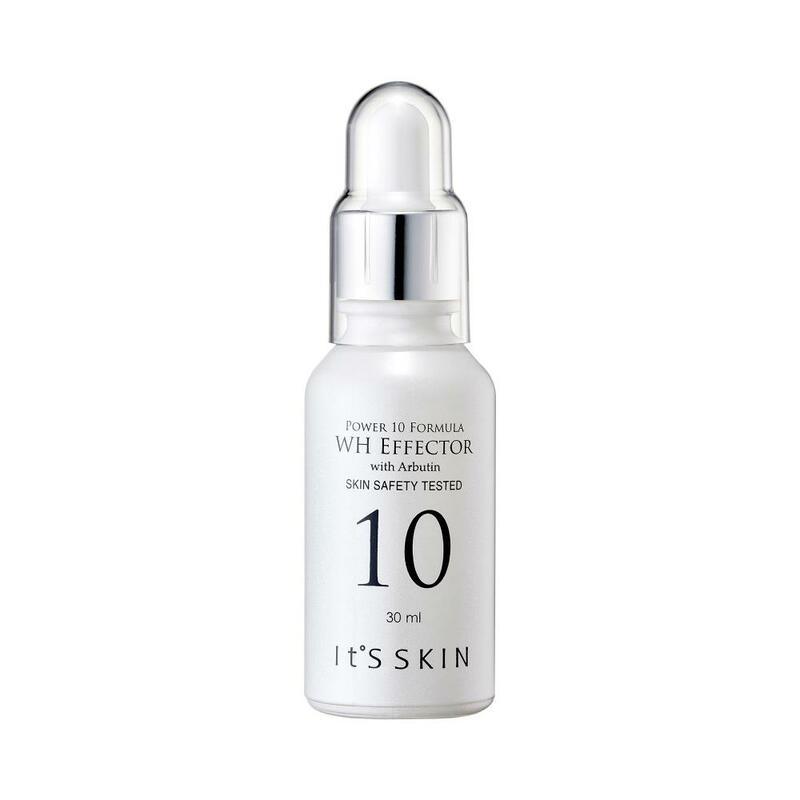 One of the products with Arbutin that I had used was the It's Skin WH Effector. After I finished up a bottle, together with the usage of sunscreen, I managed to get back my original skintone before I was sunburnt. For me, it will not lighten your skin more than what you were born with, but will help with dull, uneven skin tone and tan due to sun exposure. It's definitely one of those ingredients that I am grateful to, though I am biased to vitamin C currently.